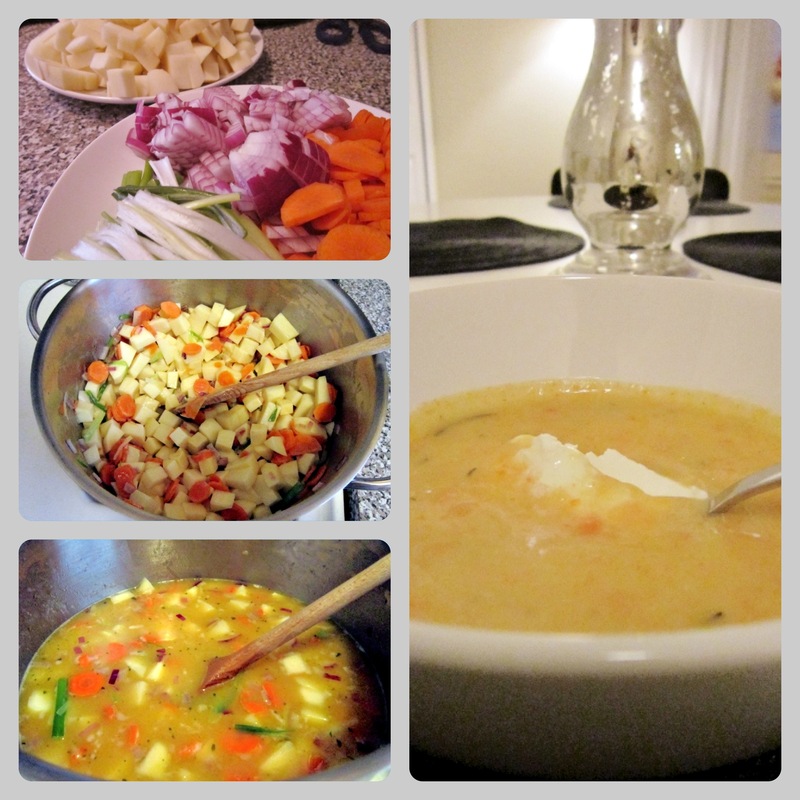 while awaiting the storm and also having to take care of a sick boyfriend, I decided to make a potato soup last night. I haven’t made one in a while, so I checked for recipes online. as the store by my house didn’t have leeks, I had to improvise. I used some green onions instead. I totally forgot how easy and quick it is to make and it just tastes great. the perfect meal for the winter coming soon. I diced the potatoes and onion, sliced the carrots and cut the scallions in about 1 inch long pieces. sauteed all that in butter in a big pot and filled it up with beef broth and milk. let it cook for about 40min. then I took out about two dippers and put the rest in a blender. to serve, I love to put a spoon or two of sour cream in the middle and garnish it with either little bacon bits or roasted kielbasa slices. enjoy!